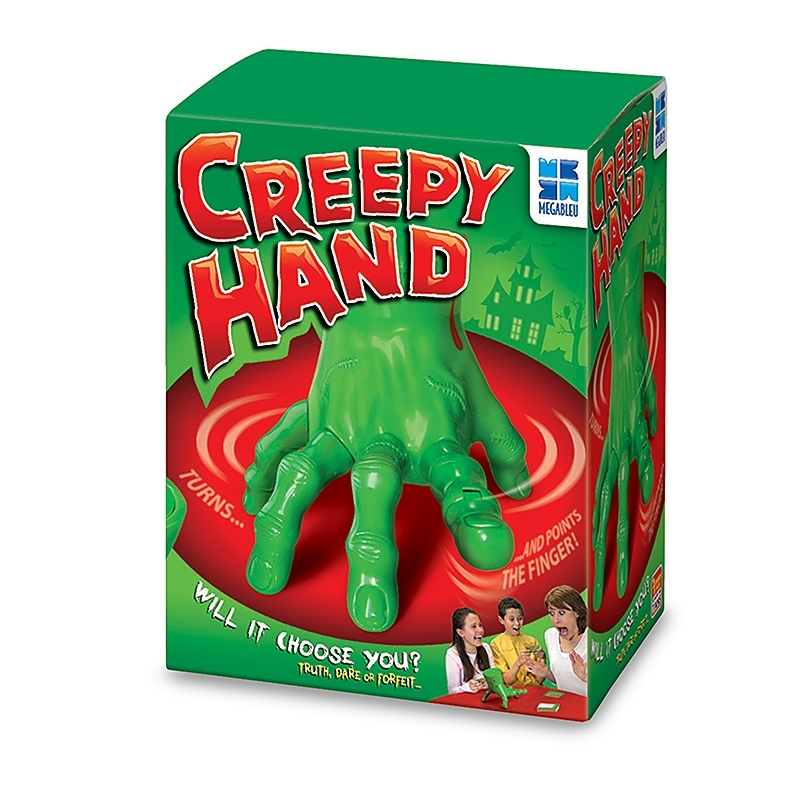 The Megableu Creepy Hand is the spooky take on the game of Truth or Dare...who will it choose next? 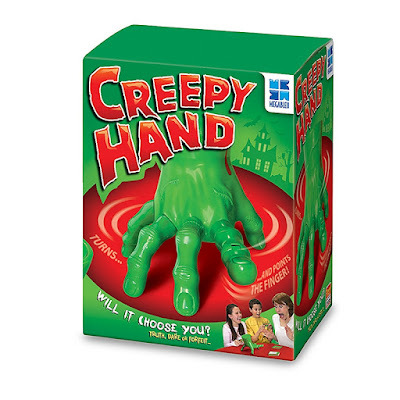 Place the Creepy Hand in the middle of the players and wait as it turns and points to its next victim. Players must then choose a card – truth, dare or forfeit! Look out for the Joker cards – players can pass up their challenge and make another player carry it out!Featuring 100 truth/dare cards, including 6 ‘Joker’ cards. For your chance to get your hands on the game enter below where you can win the game. What a great giveaway in the lead up to Halloween. Looks like a fun game. Wow, this looks like awesome fun. I think I might ask Santa for this. No special plans,I'll watch whatever horror films are on tv. We're going Trick or Treating. What a great game! It will be trick or treating for our girls! We are going for trick or treat with kids. We're going trick or treating then ove r to Grannys for a spooky party. We are working and of to a log cabin deep in the woods later. Trick or treating with the kids! Light the firepit, make some kid friendly cocktails and give all the children knocking some treats !! Staying in and watching a scary movie! Watching scary movies at home and carving pumpkins! Family are likely to be having a party. We are having a little halloween party at home! I'm staying in and playing games with my little ones. Handing out sweets to the trick or treaters. My children went to a halloween disco at school and then we did a little bit of trick and treating on their way home. We went apple bobbing and trick or treating! We stayed in and gave out the treats. My daughter loves to do that. She wore green face paint and looked ill when she went to school this morning. No amount of scrubbing returned her to normal!!! We went trick or treating and had a lot of sweets. For Halloween we held our very first Halloween party for friends and family! Everyone had to come in fancy dress and we had lots of fun spooky themed games for the children, lots of spooky cocktails and mocktails for adults and children, scary themed foods and a thoroughly good time was had by all! First trick or treating with my daughter! nothing much planned as I have a terrible cold! Trick or treat with the kids. we went trick or treating and visited my parents house for a party for the kids. My nieces dressed as witches but we only had one caller. we hosted our 4th community halloween party, it was fantastic, all the locals got dressed up and had a great time while raising money for our cause, I also took our kids trick or treating, giving us about 3 months supply of sweets! We just took the kids trick or treating on the few houses in our little patch and they dressed up! Usually have a party but didn't get around to sorting it out this year.